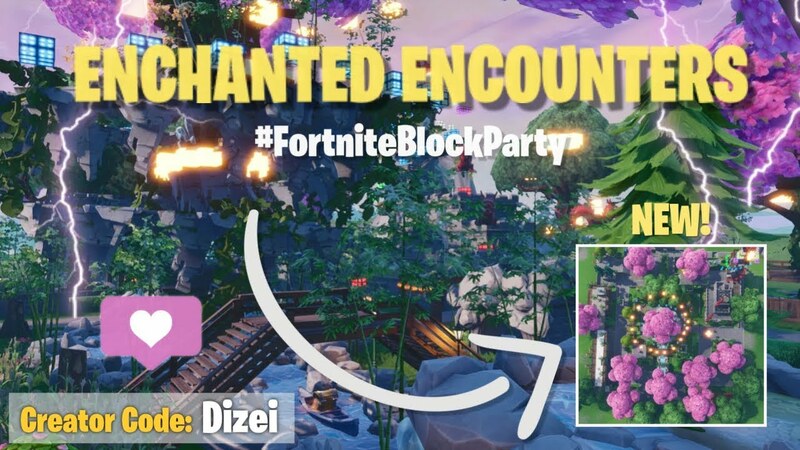 On New Years Eve, I hit 100 subscribers, so I wanted to start 2019 off with my most ambitious island yet, presenting Enchanted Encounters! Featuring: Magic throughout! Floating Islands, Glacier Gardens, Frozen Ponds, The Wizards Clock-Tower, Castle, Graveyard, Gardens, Underground Pathways, Parkour Shortcuts, Stables, Campsite, Market Stalls, Book Store, and more to discover all within the colourful Wizardly Woods. Areas of the map are colour coordinated with easily visible glowing orbs for call-outs. This is my third map and Block Party Submission, but I’m really excited to share this one! I took some new ideas, and mixed in some old favourites. This is the first playable version of the map, but I’m looking forward to improving it with your feedback. I’ve been working on this since the start of 2019, and countless hours later of refining and optimising memory, it’s finally ready to be played on, with random chests throughout! I’d love to hear any of your opinions or feedback. Multiple playstyles are encouraged with areas offering multiple layers, places to hide and places to seek. Lots of materials and plenty of chests. 50,000 memory for the #FortniteBlockParty! Would anybody like to play this on the main island?